For businesses in general and project managers, in particular, the Gantt Chart and the Critical Path are vital tools that can make or break a project and business undertaking. This might sound exaggerated, but while they are not a magic cure-all, they can assist in keeping a project on the right track. Gantt charts are an easy way to schedule tasks and track the progress of your project against your deadline, in short, it is a project planning tool that shows the beginning and finishes dates of individual tasks through horizontal bar graphs. A simple Gantt chart can be done using a spreadsheet, but for rather complex projects with many tasks, it is better to use a project management software. 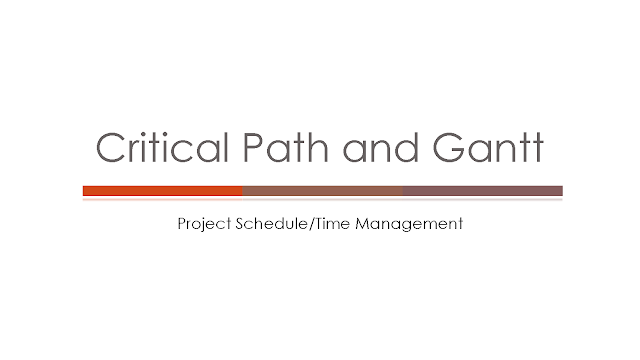 Critical Path The disadvantage of the Gantt chart is that it does not show the dependency of tasks to each other and it does not show which tasks are ‘critical’ to finish the project on time. This is where the Critical Path Method (CPM) comes in. A critical path is a sequence of tasks that must be finished before the project can be finished and in some cases, a task must be finished before the next dependent one can start, so if a task cannot be finished on time, then the whole project will take longer to the same extent.